What a difference one sequel can make. Crash Bandicoot 2: Cortex Strikes Back was not only better than its predecessor back in its day, but the years have only magnified what an improvement it really was. The original Crash Bandicoot has its place in history, but many of its aspects now feel archaic. Crash Bandicoot 2 now feels closer to the proper realization of what Naughty Dog was trying to achieve when they created the Playstation’s original mascot. Crash Bandicoot 2 takes the assets of the first game, and polishes them while also giving the formula more depth. 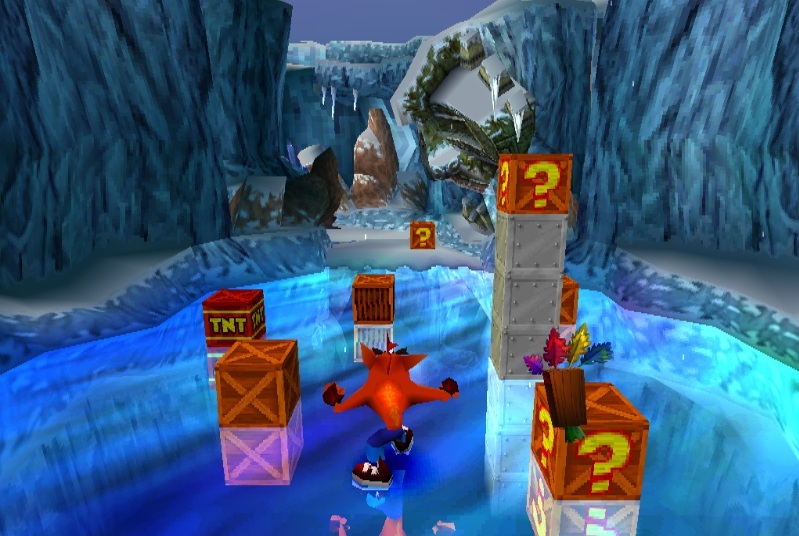 The core gameplay remains the same: Crash still jumps and spins his way through levels, which are presented in 2.5D. But Crash has some new moves this time around. He can now crouch, crawl, and slide. Jumping while crouching or sliding gives Crash a higher and longer jump, respectively. And Crash also gets his own equivalent of Mario’s stomp attack, but in keeping with the Bandicoot’s sense of humor, Crash falls flat on his face, in contrast to Mario’s fancier acrobatics. Other then the new moves, a lot of the game is more of a refinement than a reinvention of the series. The graphics are more polished and colorful, the music is a lot more memorable and catchy, and the level design is more creative, with an added dose of story to compliment it. The plot is appropriately simple, but surprisingly thought out for a platformer that relishes in cartoonish silliness: After his defeat in the first game, the evil Dr. Neo Cortex stumbled across a magic crystal, and learned it held immense power. With his armies defeated and his former assistant Dr. N. Brio – tired of Cortex’s abuse – turning a new leaf, Cortex’s only ally is the cyborg-like Dr. N. Gin. Needing someone to help find the remaining crystals to complete a super weapon (mad scientists aren’t made for that kind of work), Cortex manipulates a gullible Crash Bandicoot into believing he’s seen the error of his ways, and convinces Crash to gather the crystals as a means to save the planet. Meanwhile, Dr. N. Brio, trying to stop Cortex’s evil plot, also seeks Crash’s help in gathering magic gems which can help him defeat his former employer. But Cortex is a bit more convincing, so N. Brio sends his remaining forces to stop Crash, should he continue to aid Cortex (which explains the enemies and bosses standing in the player’s way). The story continues throughout the game via holographic messages from the mad doctors (and Crash’s sister, Coco) in the game’s hub world. It’s a setup that really works in the game’s favor, and this is a good instance of the plot intertwining with gameplay, instead of being an excuse for it. 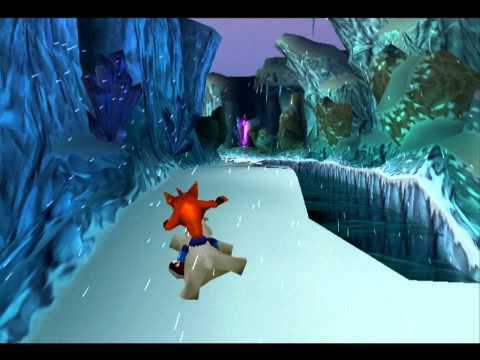 Crash Bandicoot 2’s levels all house one crystal – usually found towards the end of a stage and in the open – which are required to progress further in the game, and one or two gems, which are optional and sometimes well hidden. Every level has one gem that is acquired by breaking every crate found in the stage, similar to the first game. Mercifully, having to survive the entirety of a level is no longer an additional requirement. The other gems are found by other means (usually via bonus areas or performing special actions in particular levels), and sometimes involve backtracking and return visits. The game’s later levels can get decently difficult, but you shouldn’t have too much trouble if you only wish to blast through the game and nab the crystals. But obtaining every gem is a task for those seeking a real challenge. There are a few gems where the tasks required to get them can feel convoluted or tedious, leading to some frustrating moments, but most are a fair challenge. Another very important aspect that Crash 2 improves on its predecessor is saving. The original Crash Bandicoot’s save feature was more than a little bit of a mess, requiring players to collect tokens to play bonus stages to win the opportunity to save. 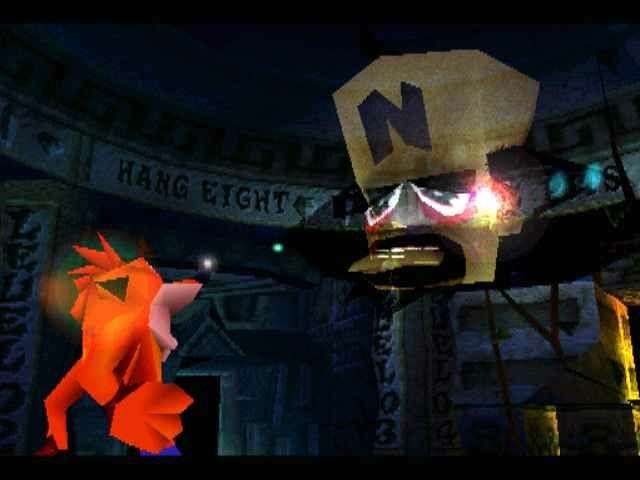 Cortex Strikes Back instead includes a basic save feature in the game’s hub world, and all Crash has to do is walk up to a wall to save in between levels. Compared to its predecessor, it’s a godsend. 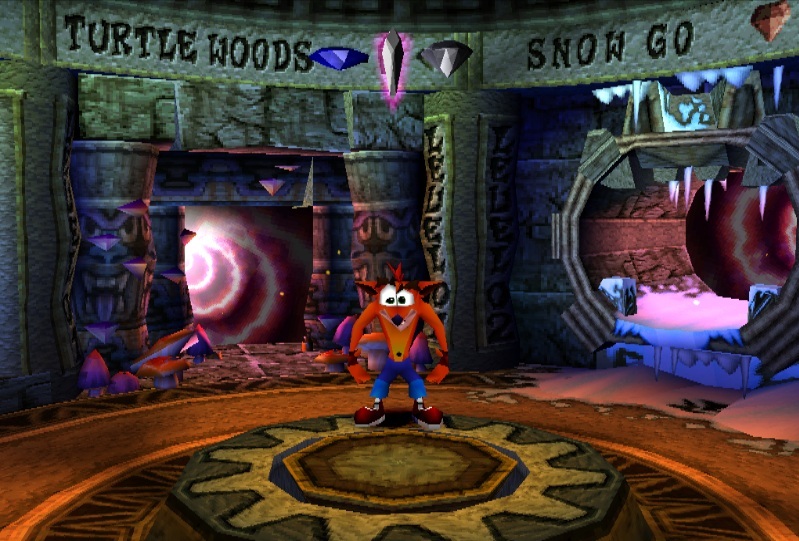 Crash Bandicoot 2 also tweaks the level progression, with each stage accessed through the innovative “Warp Rooms.” Warp Rooms are condensed spaces that each grant Crash access to five levels apiece, which gives the game a more unique setup than the original’s more generic world map. There are a few drawbacks to Crash’s otherwise stellar sequel, however. Along with some of the gems feeling like a chore to obtain, the game retains some of its predecessor’s tricky perspectives, with some areas becoming more difficult because you can’t make out the distance between objects. Boss fights are still nothing to boast about, with the final boss in particular being a big letdown. All things considered, Crash Bandicoot 2: Cortex Strikes Back remains a textbook example of how to do a proper sequel. It learned from its predecessor’s mistakes and not only touched them up, but also created a heftier and more varied gaming experience of its own. Time may not have been kind to the original Crash Bandicoot, but Cortex Strikes Back remains one of the series’ finest moments. It’s still a whole lot of fun. I played that game a lot when I was younger. I have always loved it! As a kid, I was blown away by it. I always loved the Mario and Mega Man sequels, but I was already accustomed to them as a kid, I think I was too young to really appreciate what they did as sequels (I mostly viewed them as their own games). But with Crash 2 I think I was just old enough to get it. It was the first time I really felt like I appreciated what a big leap forward it was from the first. I may not have been able to articulate it, but I definitely remember being wowed by its improvements even then. Nice story! I never got to play the first one, so the leap escaped me, but it is a great game regardless of the context in which it is viewed. It is indeed great! I think I like the third one even better. Did you ever play that one? I can’t say I have. Better than the second one, you say? It must be awesome then.